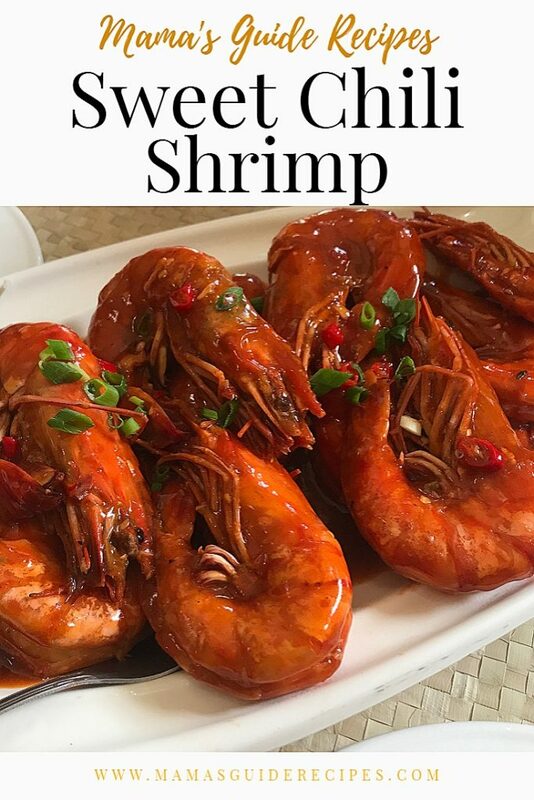 This Sweet Chili Shrimp is Filipino Style and super delicious! Its quick and easy to cook too. You can pair it with lots of steamed rice or even top it over your pasta. It’s yummy! Hope you enjoy it. In a large wok, heat oil and melt the butter over low heat. Sauté garlic, onions and chili peppers until it becomes fragrant. Add shrimp and lime juice. Stir fry shrimp for about 1 minute. Add in ketchup, oyster sauce, sriracha and brown sugar. Mix it, until well combined. Season with salt and pepper to taste. Let it boil and simmer over medium to low heat for about 2 minutes or until sauce is slightly thickened. Remember to cook shrimp for about 2-3 minutes only. It becomes rubbery when overcooked. Transfer into a serving platter and garnish with chopped spring onions. Serve and enjoy! Thank you for dropping by our website! Please subscribe to our daily recipe notifications. Don’t forget to Pin us to PINTEREST. You can comment your question there and we’ll be glad to answer your question or feedback about the recipe. The star ratings are for those who tried to cook our recipe. Kindly rate back the recipe if you tried it and you’re satisfied. Thanks a lot for supporting our website and help other friends discover great recipes.